Have you ever wondered what it would be like to be given your own remote islands? Thirty years ago it happened to Adam Nicolson. Aged 21, Nicolson inherited the Shiants, three lonely Hebridean islands set in a dangerous sea off the Isle of Lewis. With only a stone bothy for accommodation and half a million puffins for company, he found himself in charge of one of the most beautiful places on earth. 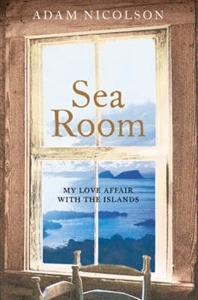 The story of the Shiants is a story of birds and boats, hermits and fishermen, witchcraft and catastrophe, and Nicolson expertly weaves these elements into his own tale of seclusion on the Shiants to create a stirring celebration of island life.